Who doesn't want stronger and healthier hair that smells dreamy!? This calming hair quencher set soothes, cleanses and replenishes unruly, dry hair. Washing your hair has never been so euphoric thanks to the calming lavender, mint and tea tree essential oil trifecta. In fact, did you know that the people during the Middle Ages used sprinkles of lavender to help keep your loved one faithful (Valentine's Day is around the corner)? While these essential oils might not be the "cure alls" they were in the past, this shampoo and conditioner duo is a cure all for dry problematic scalps! 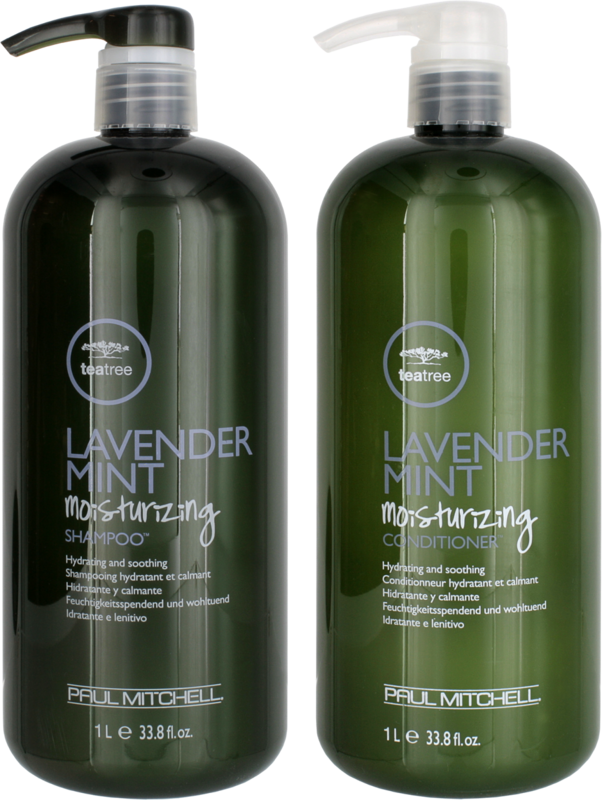 The Paul Mitchell Tea Tree Lavender Mint Duo contains one 33.8 ounce shampoo and one 33.8 ounce conditioner. The moisturizing conditioner is rich in amino acids to reinforce your hair's retention, shine, and resilience. 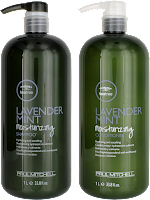 The Lavender Mint Shampoo is a mild cleanser that leaves your locks manageably hydrated and gleaming. This is amazing this stuff is! Ask pro surfer Malia Manuel. In an interview with the Paul Mitchell team she commented on how much she loved it and was just waiting to get her hands on the deep conditioning mask. If you decide to buy it right now, you will also save over 33% with our Big Sizes, Big Sale event! Bonus: For the ultimate cloud nine experience, add some Tea Tree Essential Oil to your bath water and ease your mind, body, and spirit, also great for your skin care needs. Are you ready for a spa-like treatment in the comfort of your own home? !